Frank Rogers work in partnership to deliver responsive maintenance works for numerous housing associations, local authorities, and a growing list of commercial clients, including building surveyors, solicitors, hotels and restaurants. Clients recognise that Frank Rogers will provide a quality service, tailored to meet specific needs and with rates that are considered value for money. Maintenance programmes devised and implemented by the teams are developed as a bespoke solution, with an understanding that a one size fits all approach simply won’t work. Responding to customers’ needs 24 hours a day, 365 days a year, the Frank Rogers reactive teams are able to manage almost any building related call-out service or emergency response. With a bespoke IT system and robust processes in place, the business is able to seamlessly manage the repair from initial callout through to completion and sign off. Void maintenance is a core part of the Frank Rogers business. 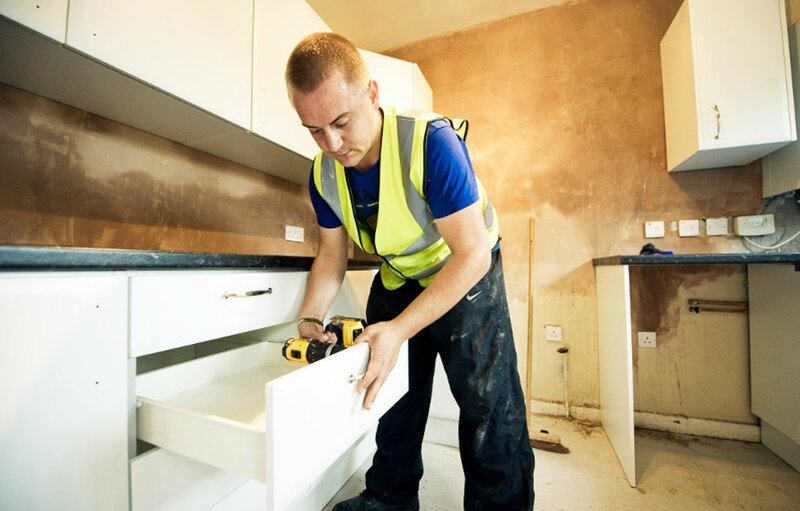 Working with local authorities and registered social landlords, the firm offers a complete repair and maintenance service for void properties. Frank Rogers long standing experience working with local authorities has allowed the business to develop a strong understanding of the sectors needs and objectives including reactive works with fast turnaround times. The firms experienced surveyors and contract managers are able to support the planning and development process, prioritising properties with allocated tenants or those that are considered hard to let.